EDV Lottery is opened for selected countries each year. 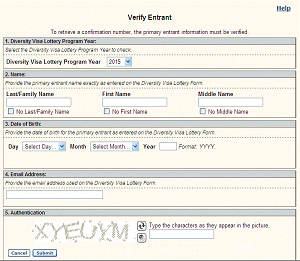 Here is how to fill dv lottery online for free. Filling EDV form is a simple process that can easily be completed within 15minutes. The only challenge will be to take your photograph exactly according to the standard suggested by EDV lottery department. Get EDV application form by visiting the official EDV website from where you will get EDV Verify Entrant form as below after clicking on Begin Entry. Please remember that you need to have at least completed your higher secondary level education to be eligible for applying for EDV. Mention clearly your complete home address including your house number and other Entrant Information according to your citizenship. Never submit your dv form more than once for one EDV program. Once you submit the EDV form, you will get a confirmation page. 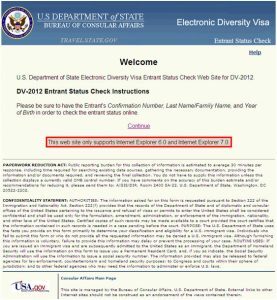 EDV which is the Electronic Diversity Visa is the cheapest way for permanent residence in USA. How to check EDV Result from Nepal? Enter the confirmation code that you had received at the time of applying for DV. You will also receive a mail on your physical address that you had given during applying for DV and you will also be notified on your e-mail address if you win the lottery. Provide correct details of your name, date of birth and e-mail address that you had mentioned in the time of applying for DV and then enter the characters that you see in authentication field before clicking on submit. You will then get confirmation code on your e-mail id. How are people selected in DV program? There are no fixed rule and people are not selected manually. They are selected on random basis by a computerized system. Much is determined by your luck. Hence it is called a lottery. What is the cost to go to America from Nepal by DV? If you have been selected under DV program, you can easily reach USA in maximum 2Laks- 4Lakhs NPR. EDV 2017 lottery is now open since October 1st and last date of EDV 2017 for Nepal is in 3rd November 2015 which is 17th Kartik 2072. The EDV 2017 result will be out in March of 2016 and EDV 2017 lottery winners can be in USA within 2017. 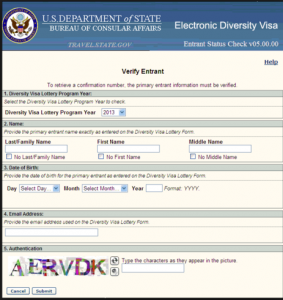 We hope this blog was helpful for you to learn how to fill dv lottery form online for free. Please give your views in comment section. passport is required to fill edv form?? plzzzz can u say required things to fill edv form? ?